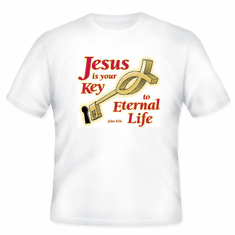 Christian Shirt: Jesus is your key to eternal life. Home/Our HoneVille.com Store/Christian Designs /Christian Shirt: Jesus is your key to eternal life. 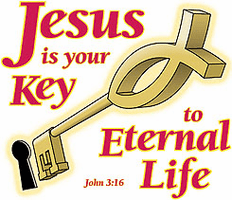 Christian T-Shirt: Jesus is your key to eternal life. 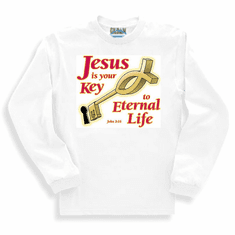 Christian sweatshirt or long sleeve T-Shirt: Jesus is your key to eternal life. 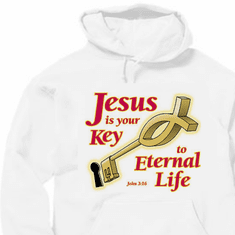 Christian pullover hoodie sweatshirt: Jesus is your key to eternal life.